Santa Claus is coming to Greenfield Veterinary Clinic this Saturday, December 9th for pet photos! 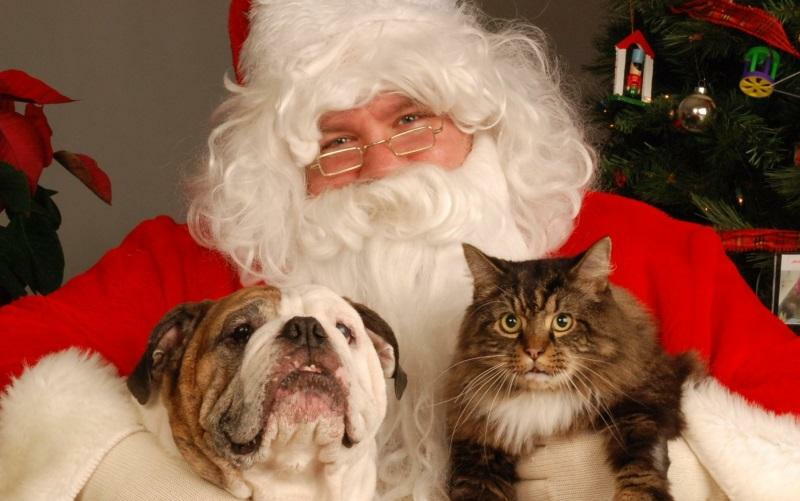 Please join us and recieve one FREE photo of your pet with Santa! Appointments are required - please call us at 414-282-5230 to reserve your time slot. Happy Holidays! Greenfield Veterinary Clinic provides small animal wellness, medical and surgical services to the greater Milwaukee area including Greenfield, Greendale, Oak Creek, Hales Corners, Franklin, Cudahy, Milwaukee, South Milwaukee, Racine, Caledonia, West Allis, Saint Francis, Muskego, New Berlin, Fox Point, and more! With more than 38 years of experience, we are a full service hospital that offers in-house lab work, laser surgery, ultrasound, endoscopy, x-ray, dental services and more. Our friendly staff will do everything that they can to make your pet's visit as low stress as possible. Open 6 days a week, there is sure to be a time when you can get your furry friend in for the health care that they need.